Just because a book is old does not make it extremely valuable. Age does not necessarily make a book worth a lot of money. Are Old Books Worth A Lot Of Money? Explaining old book values is sometimes a very difficult task. Just about every single day I am asked to look over old books and give them a value or possibly even purchase them. It is a part of my job and often times my answers disappoint people. So many people assume that because they have some books that were published in the mid to late 1800s that they are extremely valuable. Unfortunately that is simply not the case in most instances. 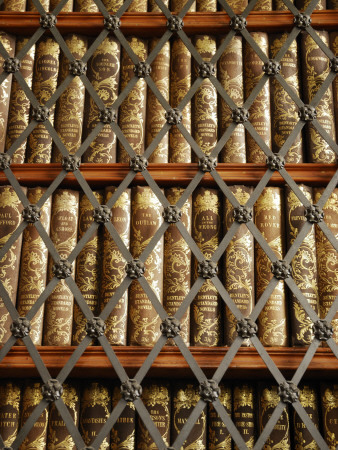 There are literally tons of old books from the 19th century available right now. Most are not as rare as their owners want to believe. Unless that book is rare, was only published in a small volume and is in extremely good condition...it probably is not worth much money. 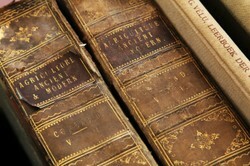 Condition of any antique is key to the value and particularly in old books. You might have a book that is highly sought after and if it is in extremely good condition it might be worth $100 or more. That would be rare but there are some books that are worth even more than that. They do not cross my counter very often, though. More times than not the books are in sad condition. The pages are loose, sometimes completely broken away from the spine. Pages show evidence of having been damp and in some cases mildew and mold are present. The covers are worn badly or damaged and some are no longer attached to the bound pages. Yet, the people bringing them in think they are going to be able to retire on the money I will give them for these mistreated books. Those people are disappointed when they leave. I am always very fair in my evaluation of books. 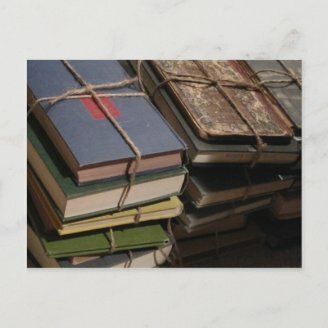 I actually want valuable books in my inventory and I am willing to pay a good price to get them. My offer will always be 1/2 of what I know I can sell the book for. If the book will sell for $50 then I will offer $25, but if the book only sells for $8 then $4 is the best you will get. Honestly, more books fall in that $8 range than a higher dollar amount. Is it an old book or an old title? Many times people are confused and think that just because the book carries the old title that the book is old. They might have one of Hemingway's "The Sun Also Rises" . Originally the book was published in 1926 by Scribners with the "first edition" only having 5090 copies. However, their book is the 1947 edition that was part of a 3 book set by Scribners. Are they both worth the same amount of money? The first edition from 1926 will be worth between $80 to $100 depending on condition. The 1947 edition is only worth maybe $15 to $20 at best. Same title, same author, and even the same publisher but different dates make the difference in value. We sure would love it if all the old books that you bring us were worth a lot of money. We really would! For one reason that would mean that we as sellers with the tons of books we have sitting on our shelves would be millionaires several times over. Oh if that were the case! Mostly we sellers of old books just love the books. We love dealing in the books even knowing that they individually don't hold much value in the monetary sense. Just this week I read that a 500 year old book was auctioned off. Now, wouldn't you think that a book that old would be worth millions of dollars? Nope, it brought less than $300 at auction. 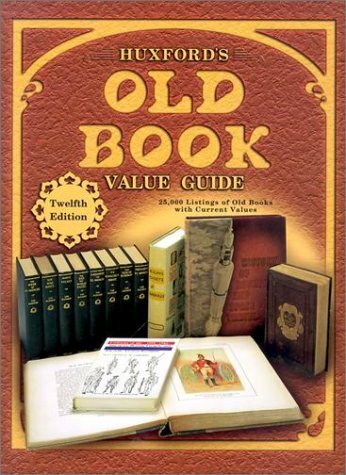 I hope I helped a little bit today with explaining old book values for you. In general they have a little value just not a lot of value. Questions? Feel free to ask. To me, they are priceless! Thanks so much for this. I am just getting my feet wet in understanding how to value antiques. This is a really good point! I sometimes watch those shows where people try and sell old things, but often the things aren't as valuable as they think! I collect old books too. The most I have ever sold a book for is slightly less than £100. I love your photos. Very useful information...thanks for sharing this. I enjoyed your article. this is great information and for me it is useful. Whiel I have a lot of older books, this does not mean that they a worth anything. Maybe for the sheer joy of reading them, but still, they are older... which as you've said really doesn't mean a thing. Thanks, Bev. Even so, it's wonderful to hold an old book in your hands and to turn the pages and look at the illustrations. It's fun, too, to think of all the people who may have read that very book and wonder how that book affected their lives. To me there's value in that beyond the monetary value. very good article with your first hand account! Good information explained well. I sell on Amazon and you're right, not too many rare valuable books to be had. The terms "antique" and "vintage" have caused confusion to more than one shopper. Vintage Definition | Antique Definition will try to clear the muddy waters. A few suggestions on how to sell your antiques and collectibles in a brick and mortar store. It takes some work but you can be successful.